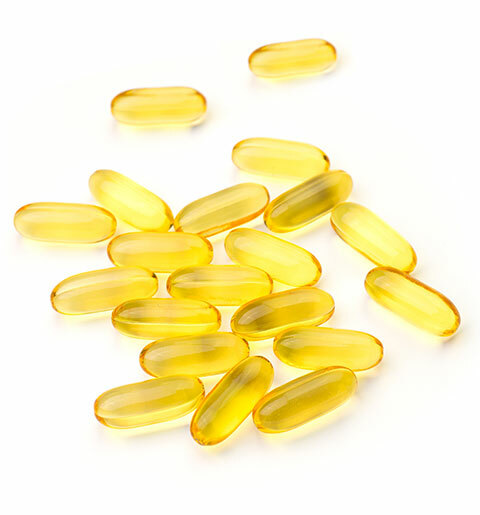 Resolvins, protectins and maresins are exquisitely potent cell signaling molecules derived from the omega-3-fatty acids eicosapentaenoic (EPA) and docosahexaenoic acid (DHA). These oxidative metabolites like Resolvin E1 (Figure 1) are synthesized on-demand via lipoxygenase and cyclooxygenase in tissues as a protective response to acute inflammatory insults. They play a key role in restoring homeostasis by limiting neutrophil tissue infiltration, counter regulating production of chemokines and cytokines, and stimulating M2 macrophage polarization1. As critical regulators on inflammatory response, SPMs have tremendous potential in numerous diseases including asthma2, rheumatoid arthritis3, lupus4, atherosclerosis5, psoriasis6, heart ischemia7 and bacterial infections8. Despite, the importance of these bioactive molecules, research has been limited by compound availability. Current synthetic methods typically require more than twenty steps and are plagued with reactions that give mixtures of isomers and require tedious purifications. Chemists at NEDP have already completed the total synthesis of several SPMs on gram scale and are now optimizing them for large scale production. The material generated from these proprietary processes will be used to support clinical development of several drug products where SPMs are the API (Active pharmaceutical Ingredient). Ohira, T., et al. Resolvin E1 Receptor Activation Signals Phosphorylation and Phagocytosis. Journal of Biological Chemistry, 2010, 285, 3451-3461. Levy, B. D., et al. Multi-pronged inhibition of airway hyper-responsiveness and inflammation by lipoxin A4. Nat. Med. 2002, 8, 1018-1023. Arnardottir, H., et al. Resolvin D3 Is Dysregulated in Arthritis and Reduces Arthritic Inflammation. Journal of Immunology 2016, 197, 2362-2368. Luca N. et al. Role of the Specialized Proresolving Mediator Resolvin D1 in Systemic Lupus Erythematosus: Preliminary Results, Journal of Immunology Research, 2018, Article ID 5264195, 6 pages. Viola, J. et al. Resolving lipid mediators Maresin 1 and Resolvin D2 prevent atheroprogression in mice. Circulation Research 2016, 119, 1030-1038. Sawada, Yu et al. Resolvin E1 attenuates murine psoriatic dermatitis. Scientific Reports 2018. Keyes, K, T. et al. Resolvin E1 protects the rat heart against reperfusion injury. Am. J. Physiol. Heart. Circ. Physiol. 2010, 299, 53-164. Chiang, N. et al. Novel Resolvin D2 receptor axis in infectious inflammation. J. Immunol 2017, 198, 842-851.